DAVID LE/Staff photo. 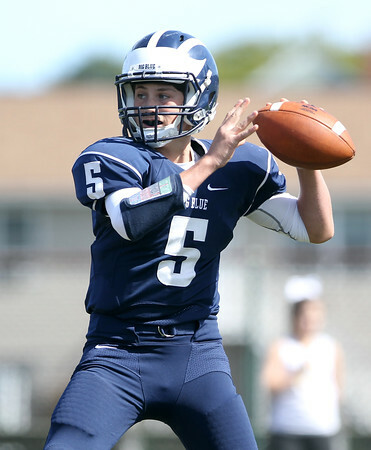 Swampscott sophomore quarterback Colin Frary (5) drops back to pass against Gloucester on Saturday afternoon. 9/26/15.